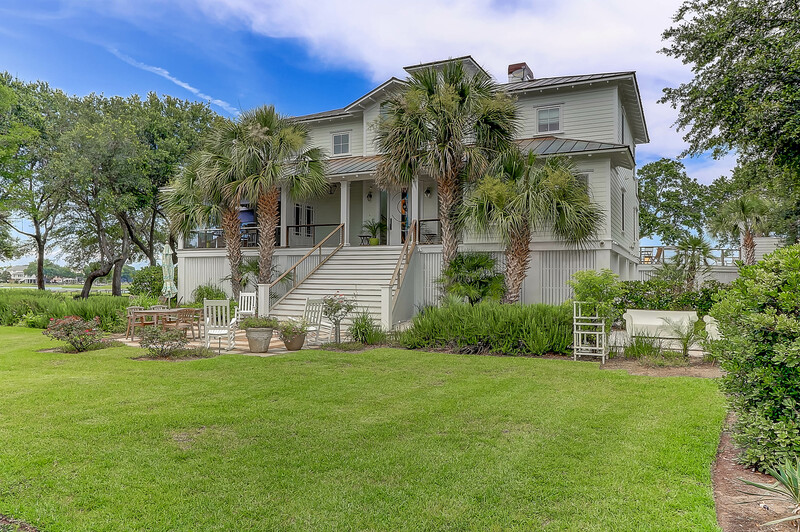 1105 Fort Lamar is a luxurious James Island estate that expands over 13 acres on a double lot. 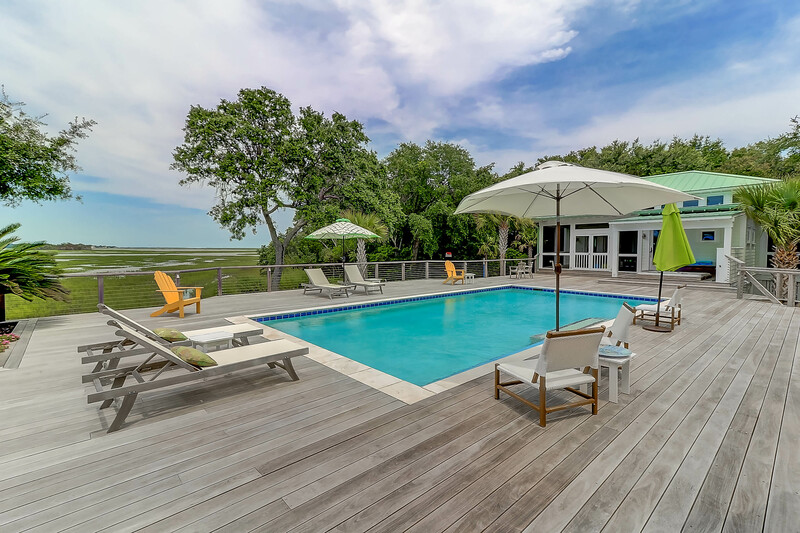 This property is one-of-a-kind as it has an abundance of privacy, renovated interior rooms, lots of outdoor living space, and water views including the Charleston Harbor and Sullivan’s Island lighthouse. The property was expanded extensively in 2008 with multiple outdoor entertaining areas including two large screened porches, a rooftop terrace, and an expansive deck with a pool. 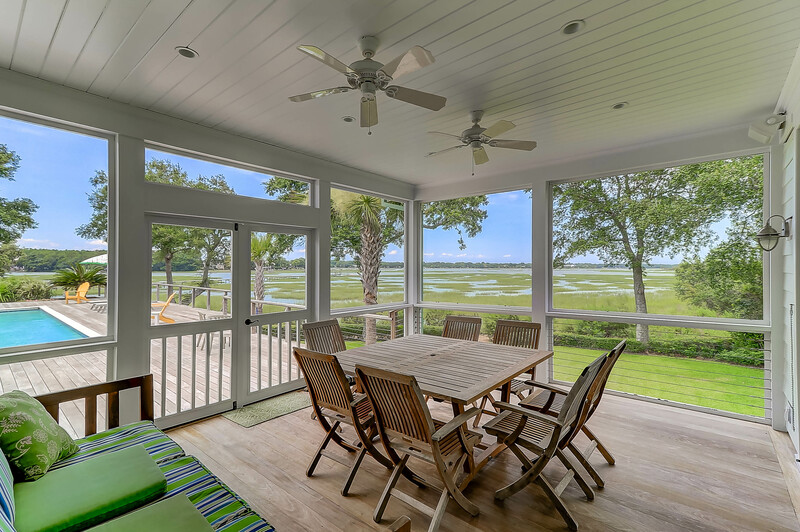 The outdoor space overlooks the marsh and mature oaks. 1104 Fort Lamar is also included the sale with a ready-to-build 5.3 acre lot. 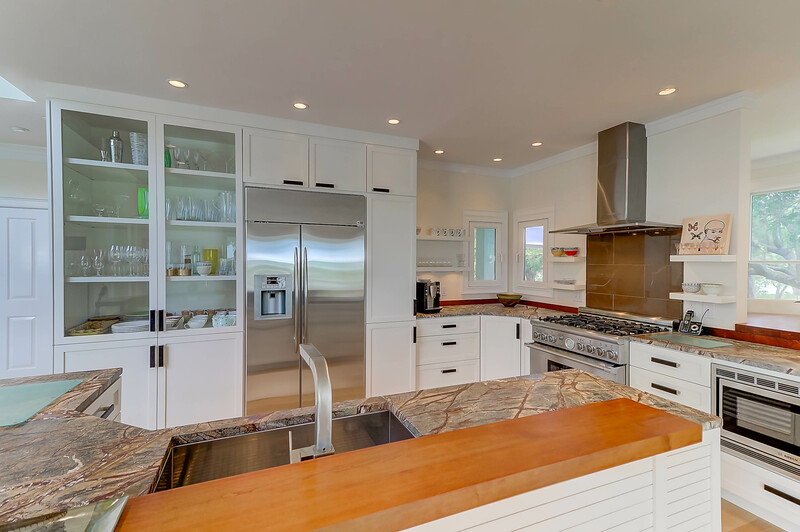 In 2012, the house was renovated with the addition of two sunrooms, a breakfast nook, and updated kitchen and bathrooms. 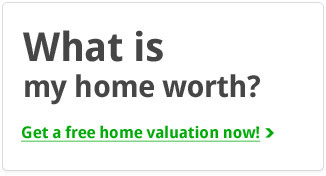 The home features 5 bedrooms, 4.5 bathrooms, and over 5,000 square feet in the living space. 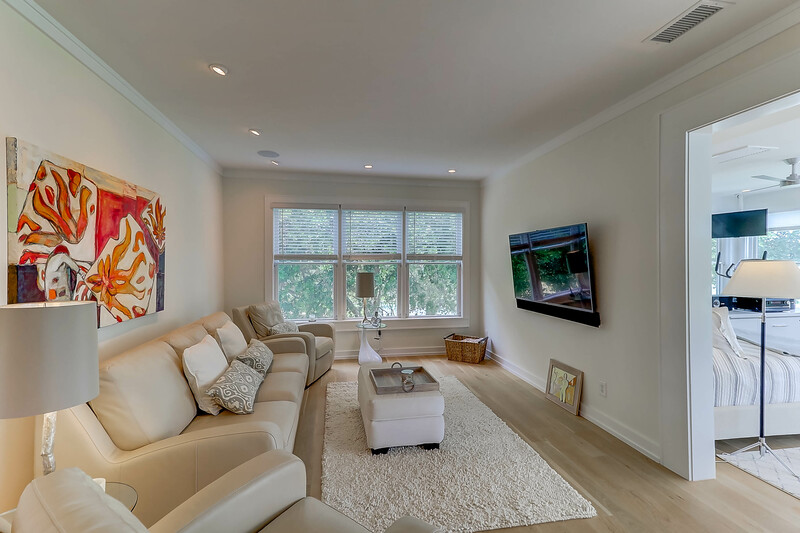 The floor plan is very open and features beautiful hardwood floors, crown molding, and modern accents. The living room, eat-in kitchen, and sunroom flow together making the area look very spacious and bright. 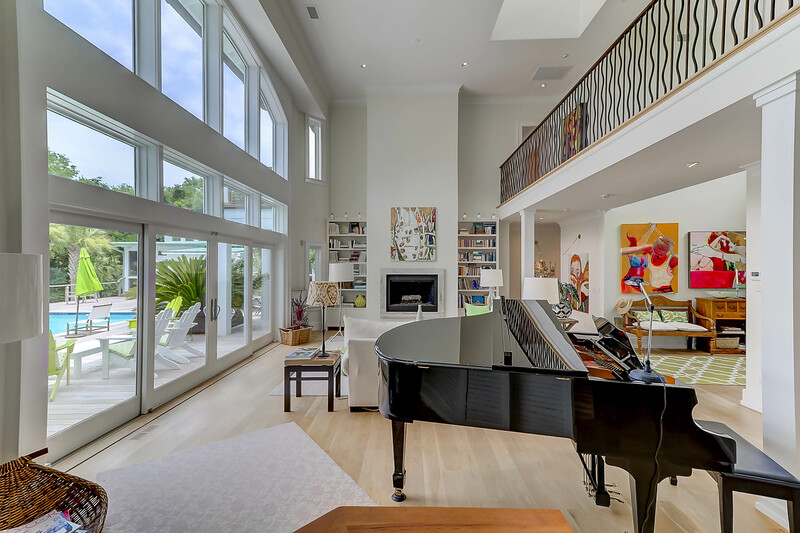 The living room is massive with tall ceilings, a fireplace, built-in bookshelves, and filled with natural light from the tall windows that overlook the the deck and water. The kitchen has stunning granite countertops, top of the line stainless steel appliances, gas range, and lovely modern finishes. The breakfast nook is right off the kitchen and features a cozy area with many windows, which makes it a perfect space for dining. Also on the first floor are three guest bedrooms that are absolutely gorgeous and filled with natural light, contemporary design, and have plenty of space with closets. 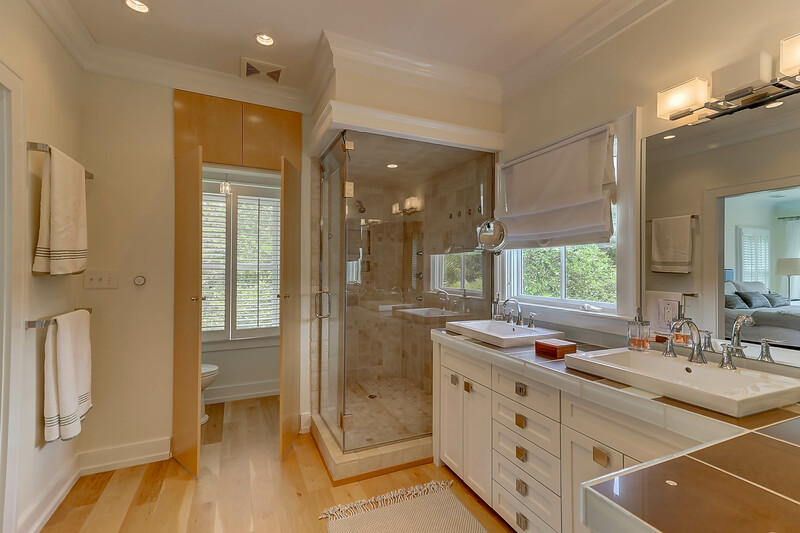 The upstairs master suite features an expansive bedroom with many windows overlooking the marsh, a beautiful sitting room, and an en suite bathroom with a glass stand-up shower, chrome fixtures and modern design throughout. On the opposite wing of the house there is a secondary master suite with a private porch, fireplace, and marvelous en suite bath with double vanity sinks, a stand-up glass shower, chrome fixtures, and lovely decor. In addition to these astonishing bedrooms there is a separate guest house that includes a guest suite. 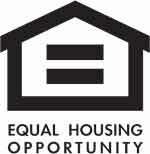 It is used as a lovely, bright studio space and has a full bath with a sauna and two screened porches. In 2009, extensive landscaping was designed to include the addition of beautiful trees, shrubbery and a vegetable garden. The redesign also included hardscape of walkways, patios and a privacy front gate. In addition, a shared dock with four other homeowners extends into the Clark Sound with easy access to the Charleston Harbor. 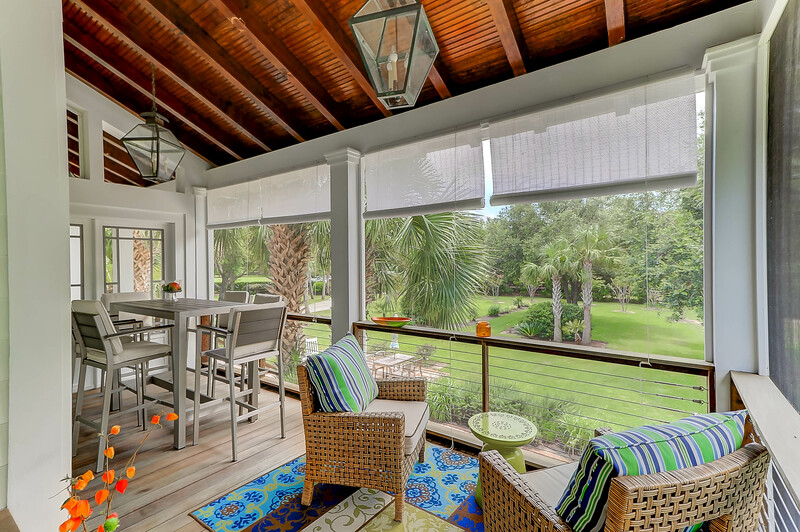 This stunning home has so much to offer and it truly exemplifies Lowcountry living.